The La Sportiva Kataki is an all-round-performance crag shoe designed for complete versatility and adaptability on long, varied climbs with both vertical slabs and overhanging faces. It's actually the child of two of La Sportiva's most popular shoes - the Katana Lace and the Otaki; taking the versatile downturned front section of the Katana Lace and the technical performance of the Otaki's heel, the Kataki is more technical for steeper climbs but not so aggressive that it under performs on edges and vertical climbs. A true high-performance all-rounder. The Kataki has two of La Sportiva's signature features along with the Vibram XS Edge rubber that's designed for stability and control on tiny holds. 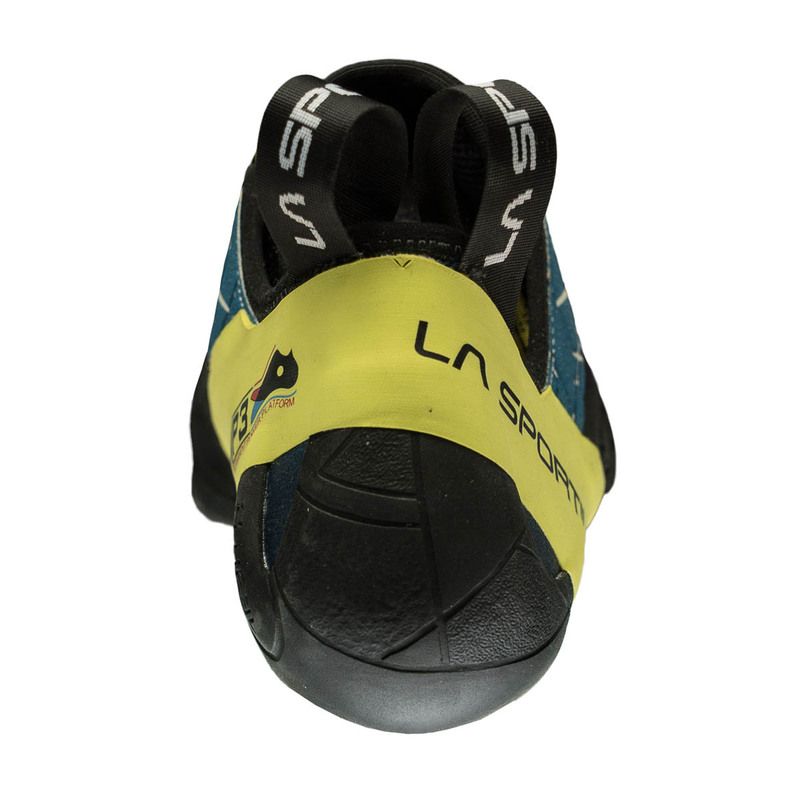 The first is the P3 rand system, which adds extra structural support to the shoe to ensure it doesn't lose its shape over time, as non-synthetic climbing shoes tend to do. 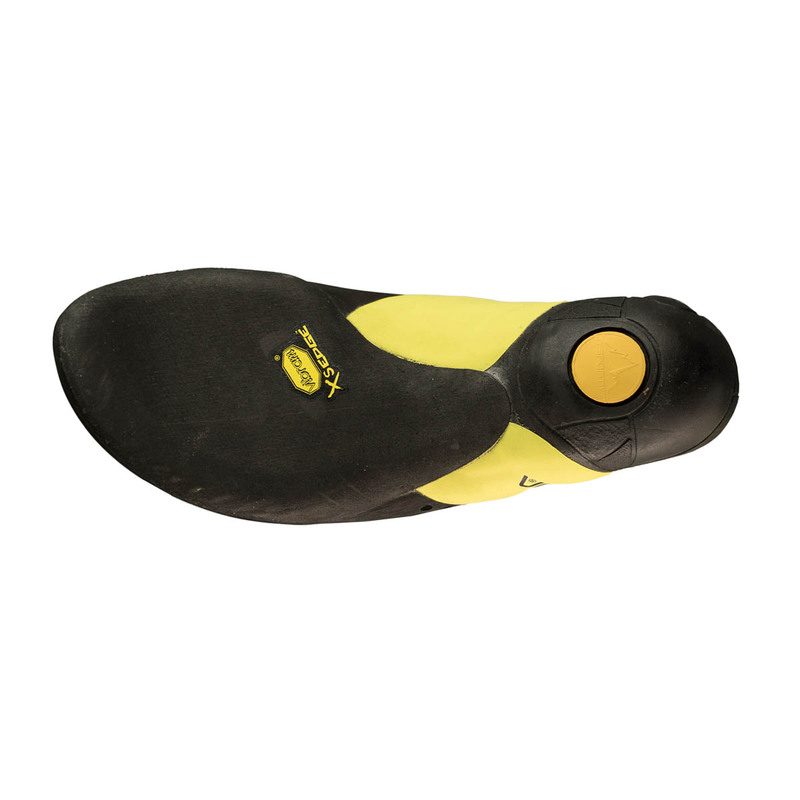 The second is the S-Heel, a rubber shell that encapsulates the heel containing an incompressible piece of rubber, which prevents the shoe's rubber from deforming when hooked or blocked - that means a loss of power. The Kataki is suede leather / synthetic with linings at the front and back. Expect there to be up to a half size of stretch and size appropriately. 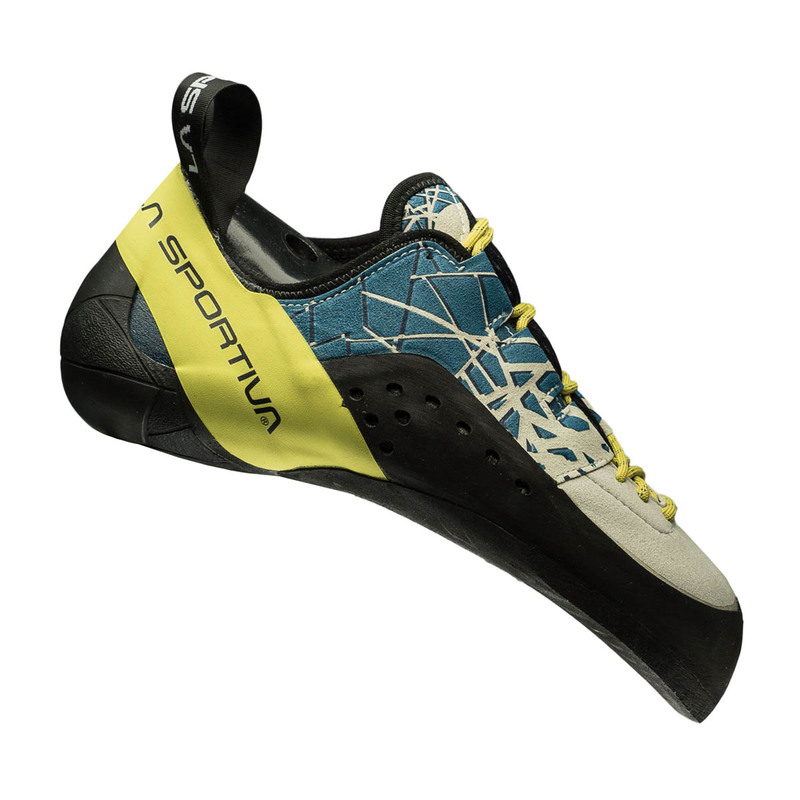 La Sportiva recommend you wear this shoe on the loose side for a comfort-performance fit. So far my best shoes. 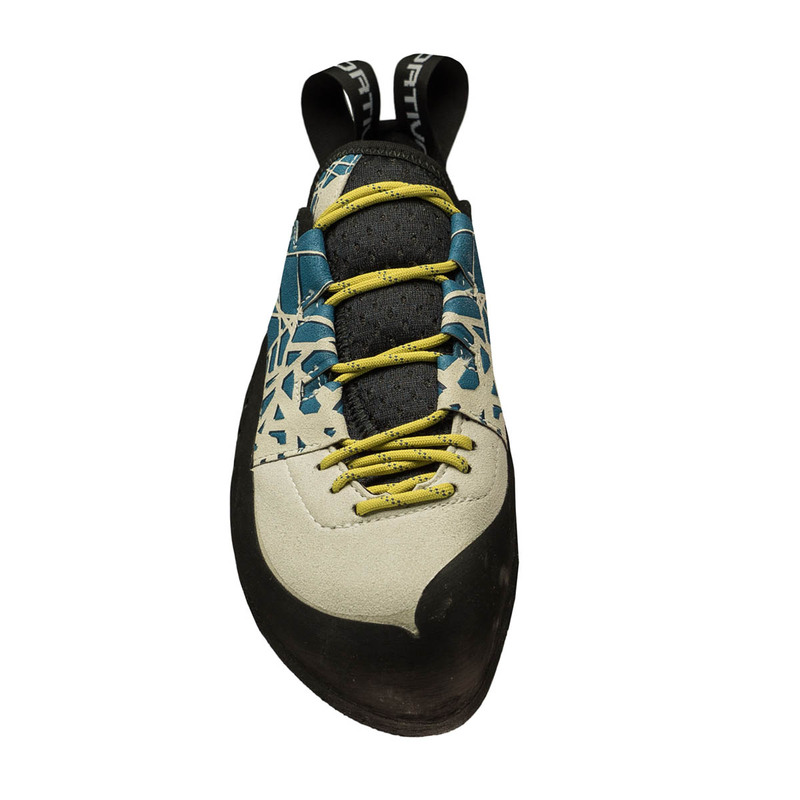 Compared to La Sportiva Miura, you will immediately get better footing with very small holds. However it takes some time to get used with these shoes and thus especially flat odd angle holds may feel difficult at first. So, strong sides of these shoes have some trade off from the "touch". Very experienced climbers may want to buy another set of shoes - in addition of these - for different type of routes. The katana with an improved heel cup. No idea about the s-heel feature performance, but the overall fit of the heel is perfect. I had so many issues with loose heels and bad subjection, and this kicks seem to be the solution. flex is slightly rigid, but I still manage to work on overhangs (I do prefer slightly stiff shoes). I tried the otaki and despite being apparently similar, these feel more comfortable. My guess is that the otaki have more room for the toes to curl, which produces more tension and friction on the upper of the toes. The kataki seem slightly flatter. both the fit and the climbing are super precise! aesthetic design is awful, and no comments on the price as well... guess they'll go down when they are not the coolest around. thanks epictv once more for constant discounts and offers!